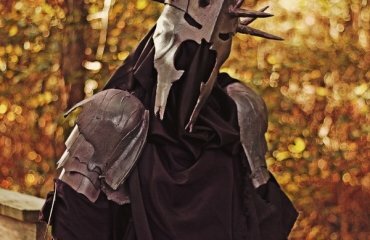 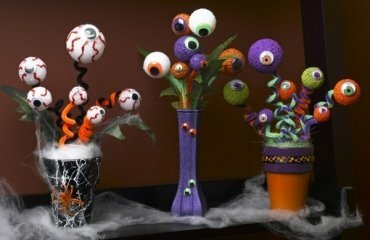 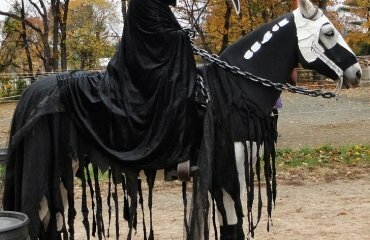 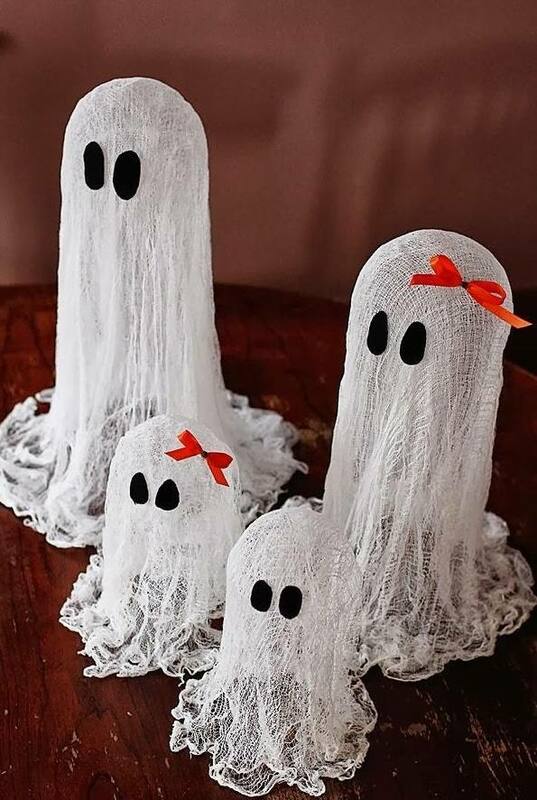 Homemade Halloween decorations provide a huge opportunity to create a unique decor without much effort and money. 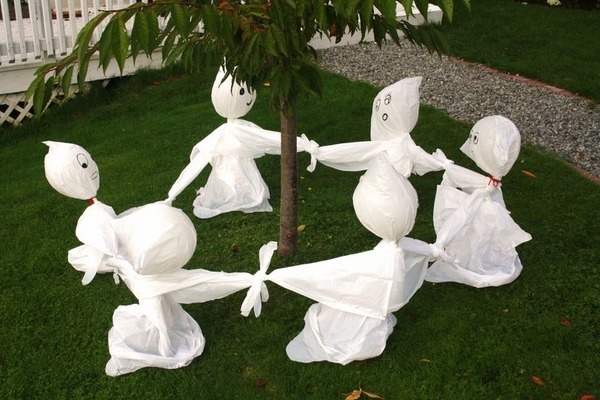 Witches, ghosts, monsters, pumpkins, black cats, bats and zombies are the main characters of a creepy design. 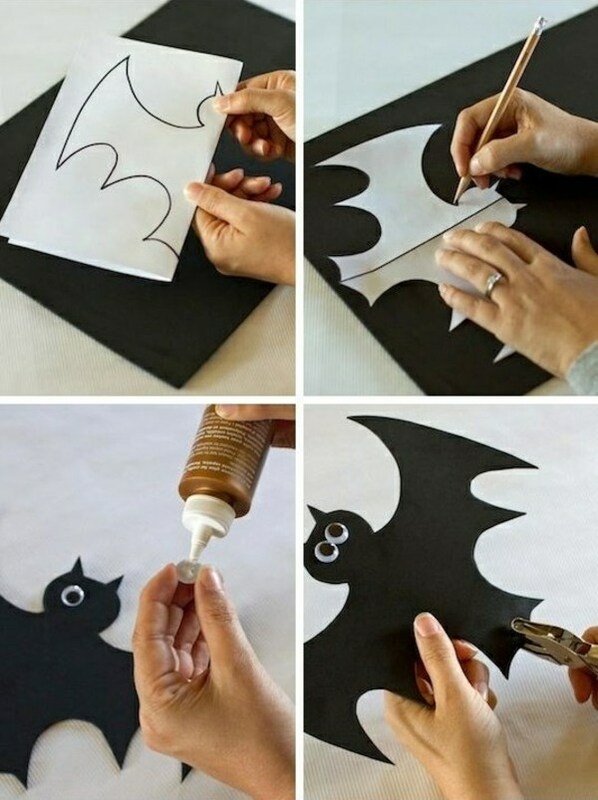 Use our ideas so that you can quickly craft an impressive Halloween decoration and prepare your home for the feast. 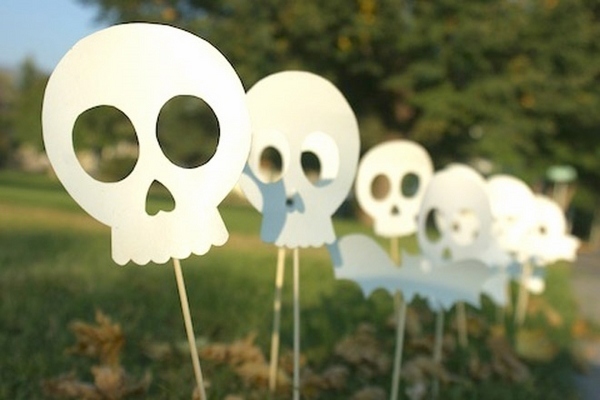 Homemade Halloween decorations do not necessarily take a lot of time and money to complete. 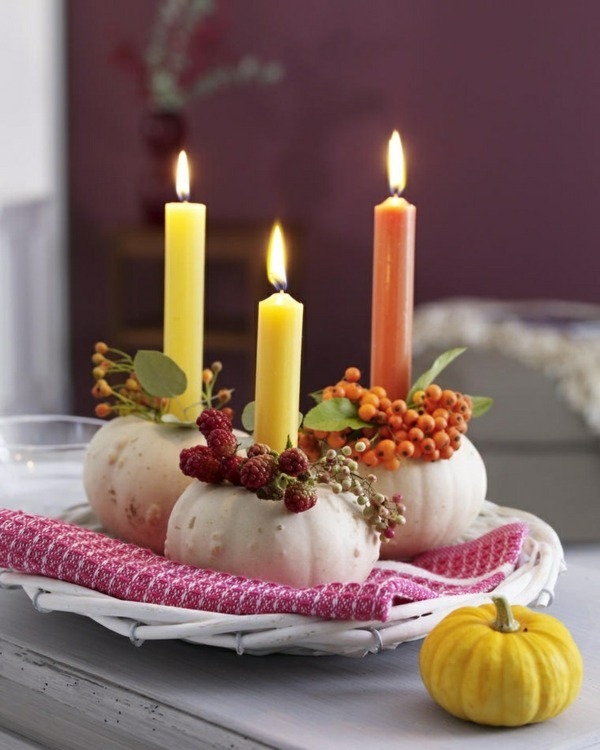 A colorful paper garland is perhaps the easiest last minute idea for your home. 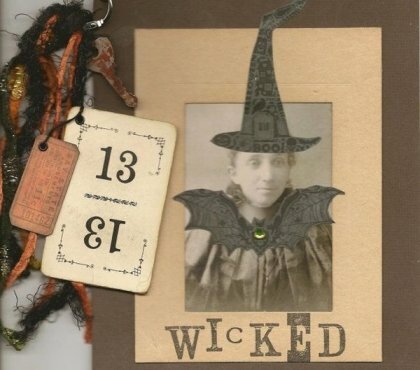 A homemade Halloween wreath can decorate your front door and it will be a lot of fun making it. 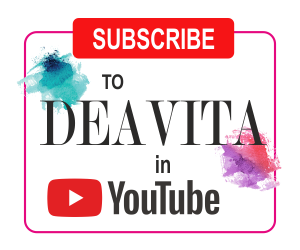 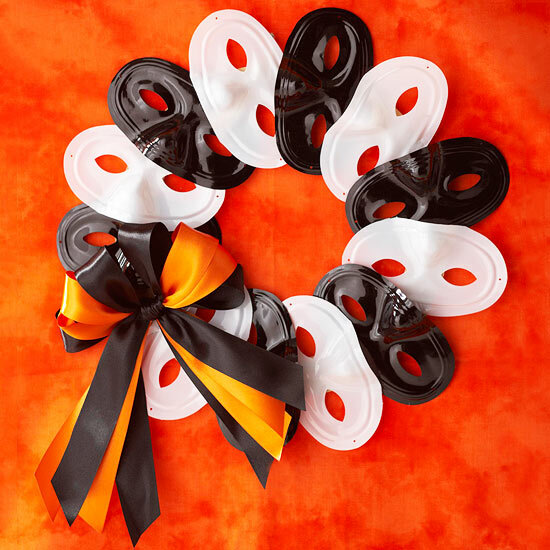 You need black and white face masks, bows, ribbons that you can attach to each other either with pins or with adhesive. 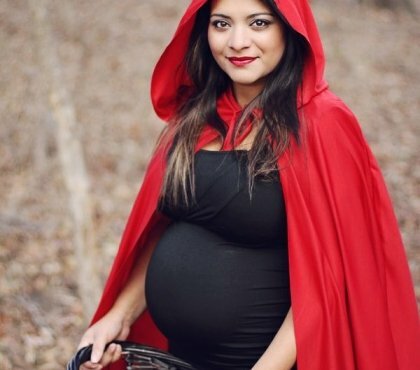 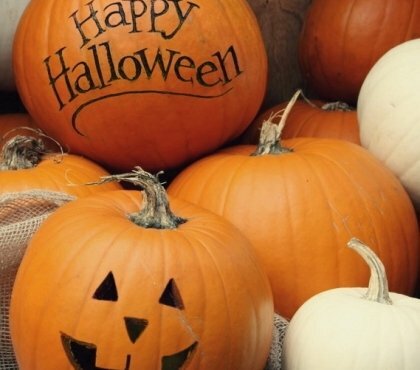 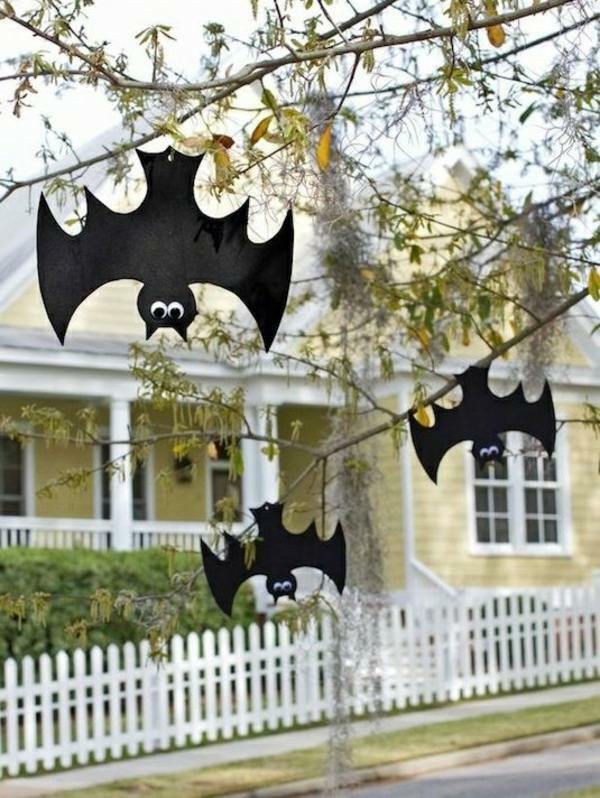 Halloween Decoration can be in the traditional colors for this holiday, but you should not limit yourself to them. 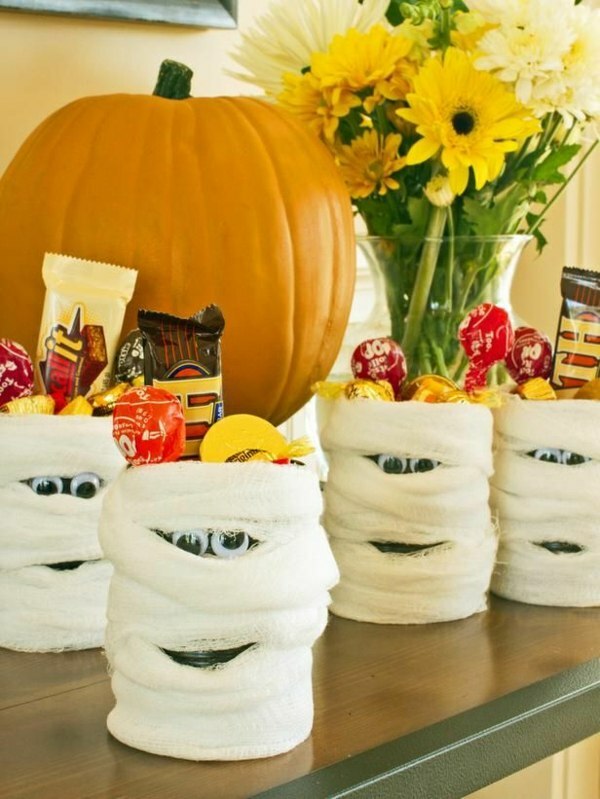 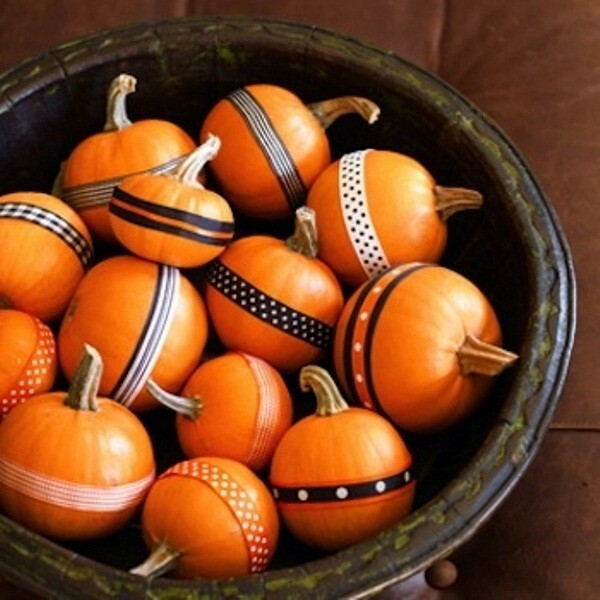 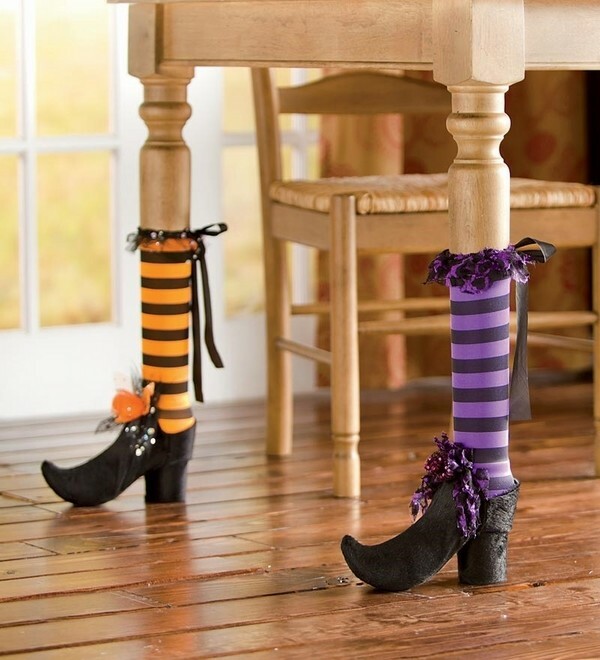 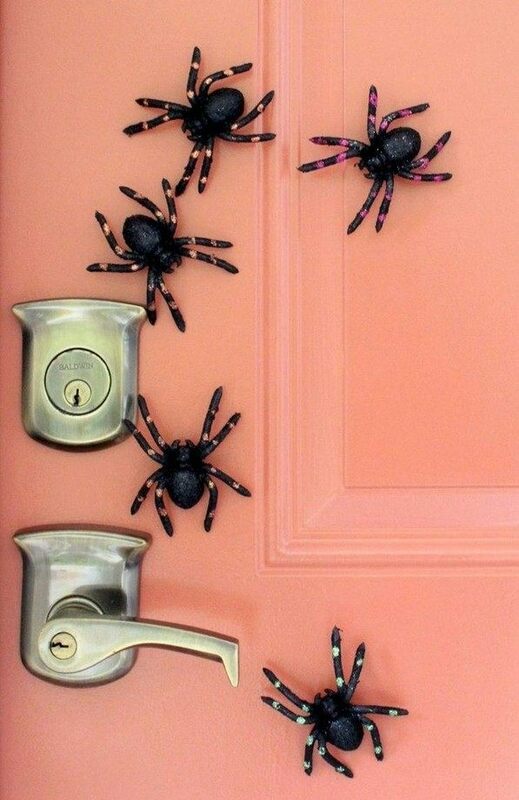 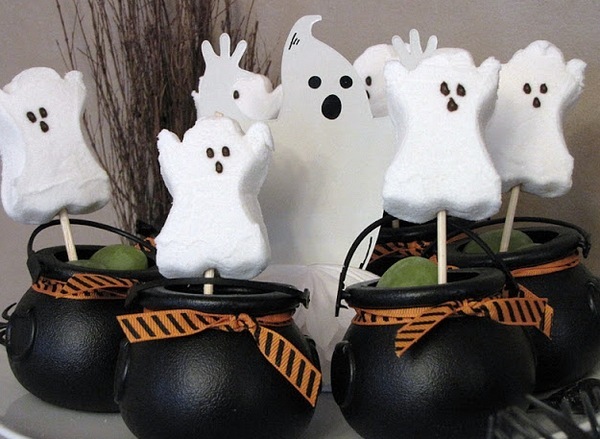 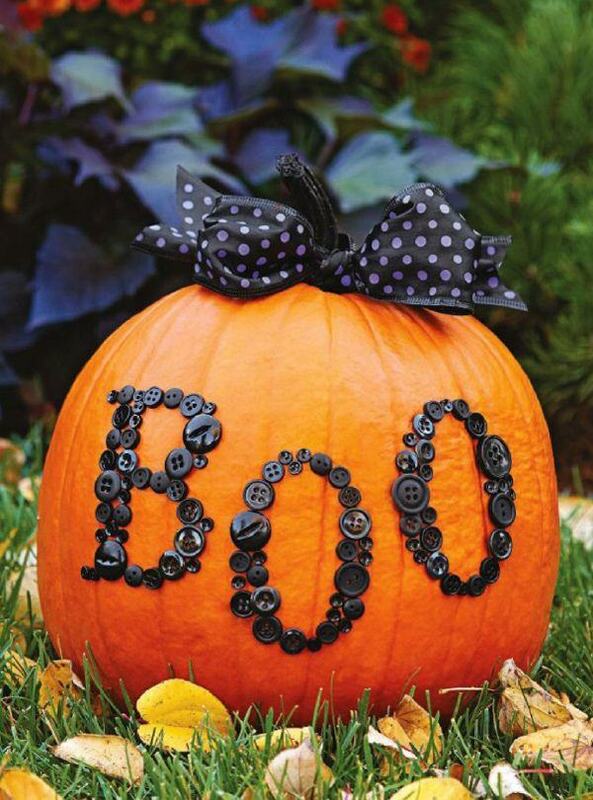 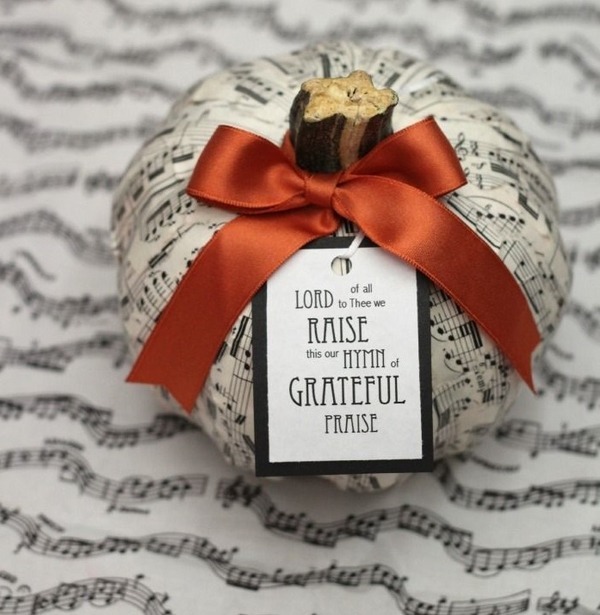 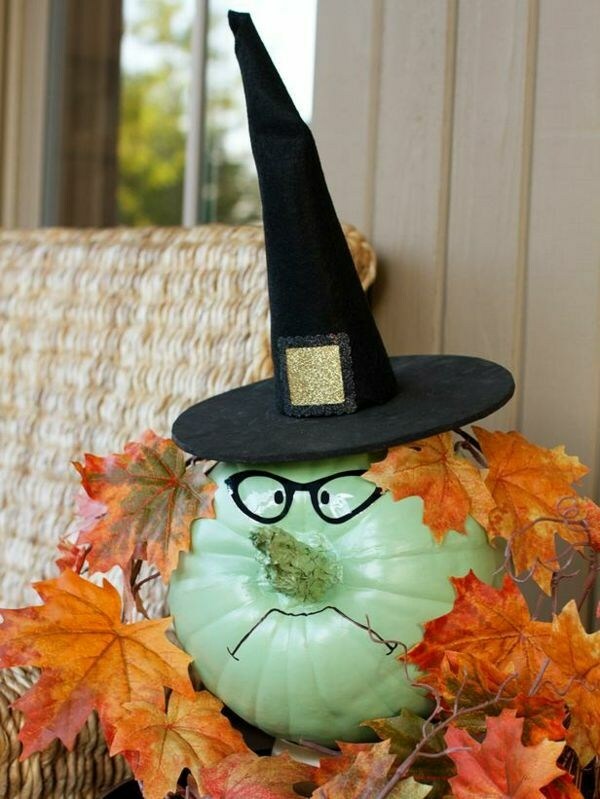 Surprise your guests with a playful decoration for Halloween. 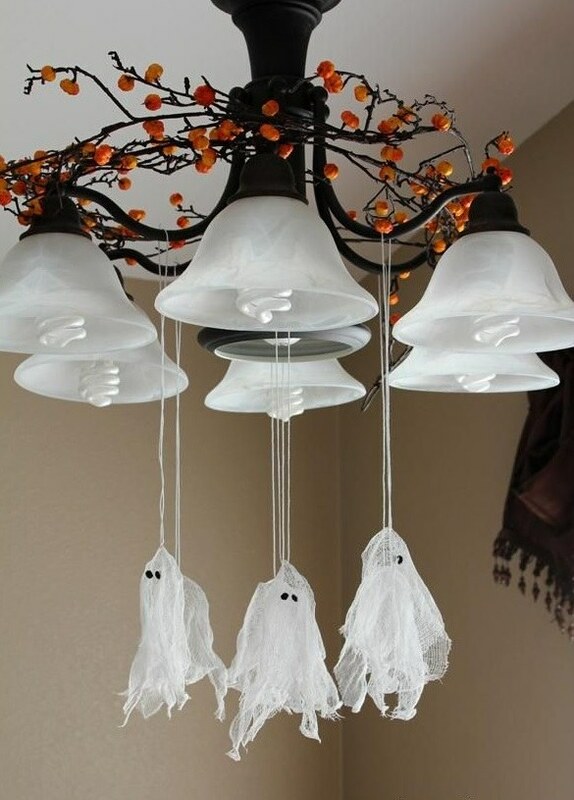 Decorate plates, mugs and bowls with skeletons, spiders, cobwebs or little skulls. 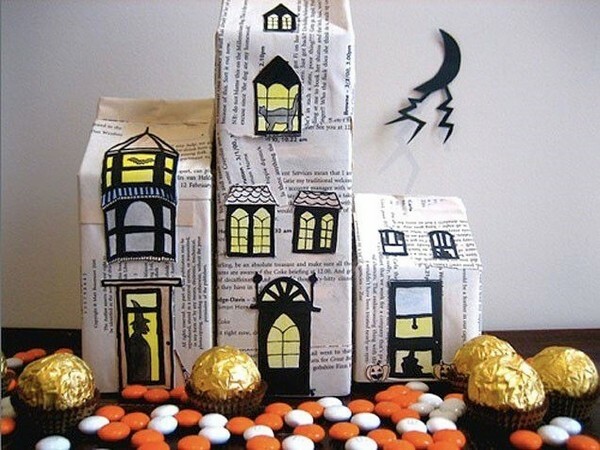 Cardboard and color paper will help you craft amazing homemade Halloween decorations. 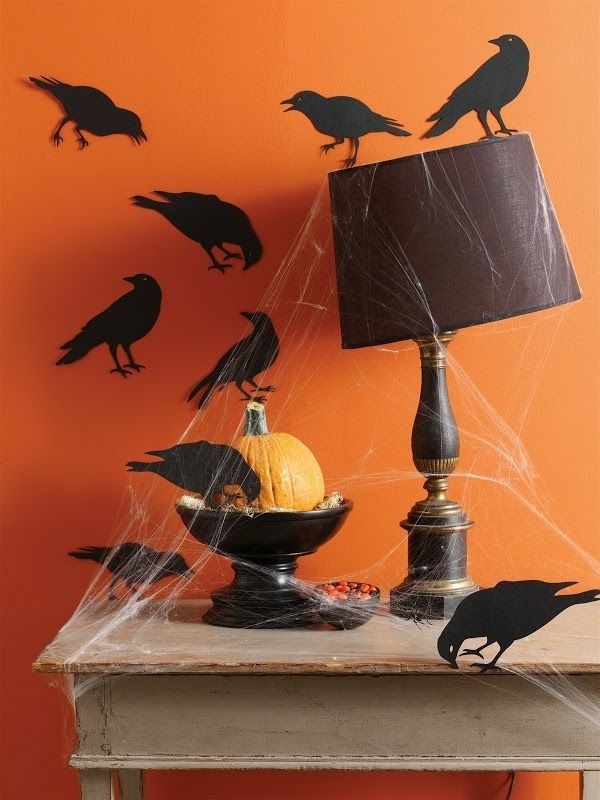 Stylized or realistic silhouettes of mice, cats, bats or other creatures made ​​of black cardboard are suitable and can be the perfect decoration for the staircase, or the window. 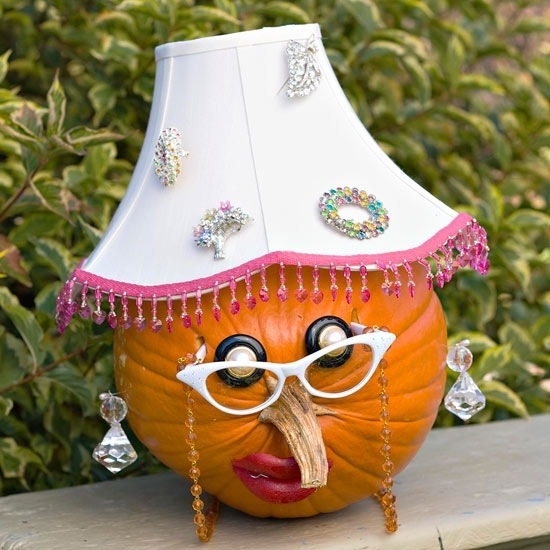 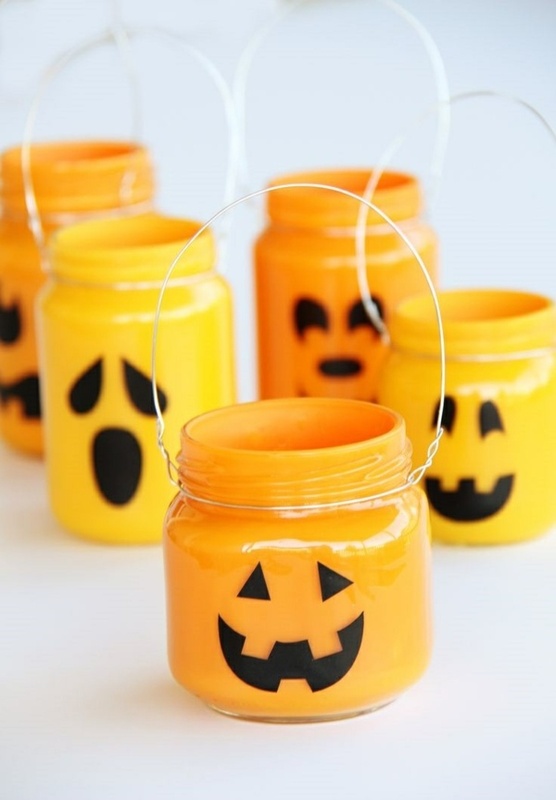 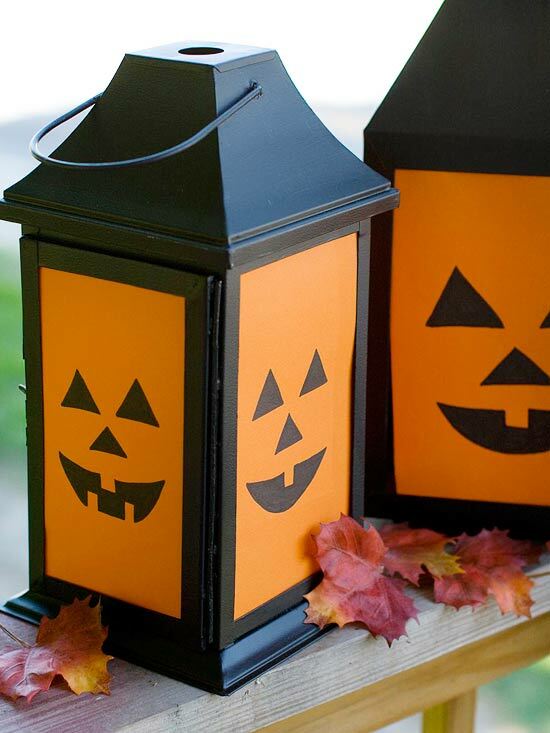 A few pumpkin lanterns will turn your porch into a spooky backyard and will drive away evil spirits. 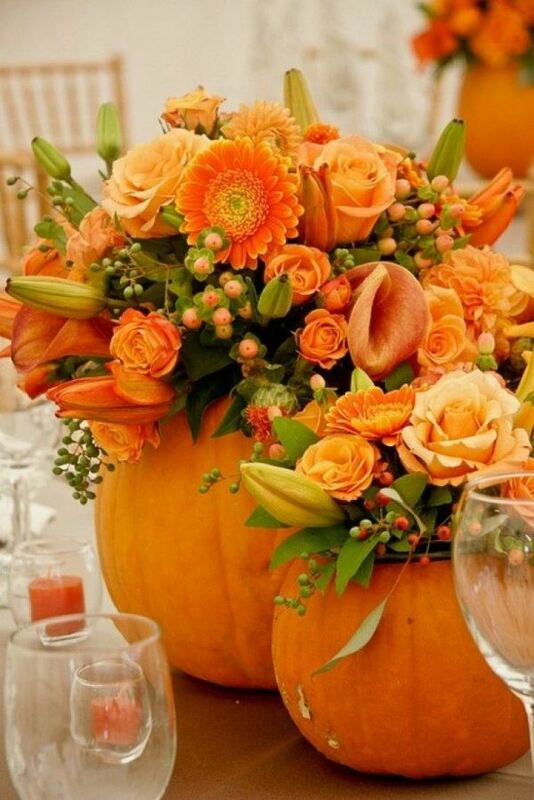 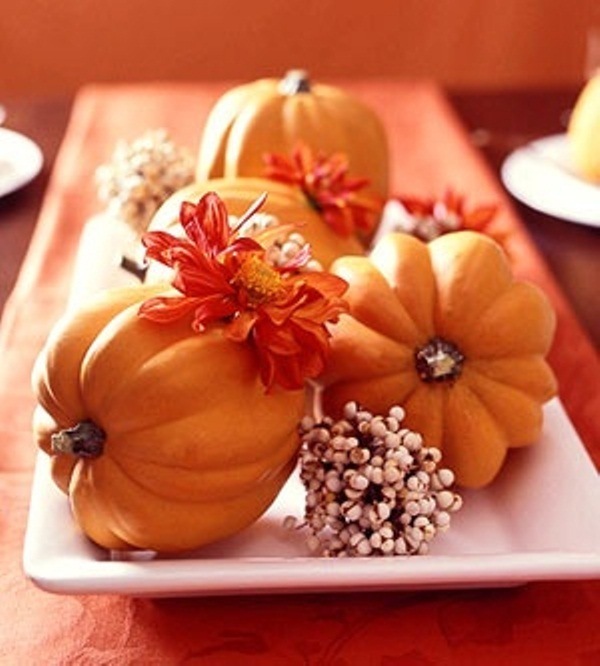 Pumpkins are an easy table decoration too –fill them with flowers, leaves, decorate them with nuts or gold spray and you will most certainly create a real eye-catcher. 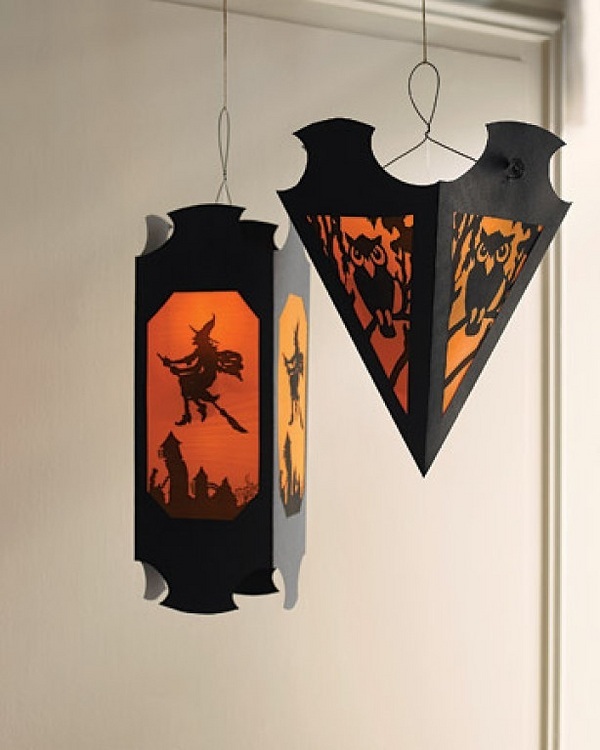 Use a simple blackboard to write spooky messages and decorate it with artificial cobweb, use Halloween paper lantern templates to craft original and interesting lanterns for your porch. 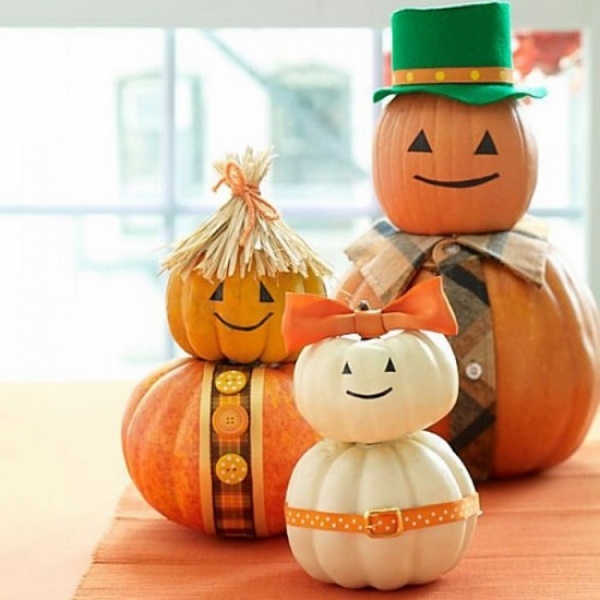 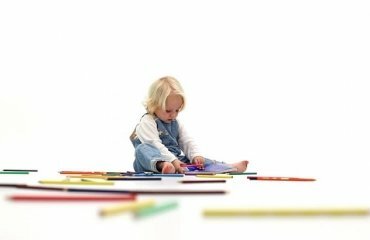 Do not forget to ask help from your kids and family and turn the decoration of the home into a festive activity.